Take a trip back in time to New York’s Catskill Mountains, circa 1969, as Pops on the River presents A Night at Woodstock. 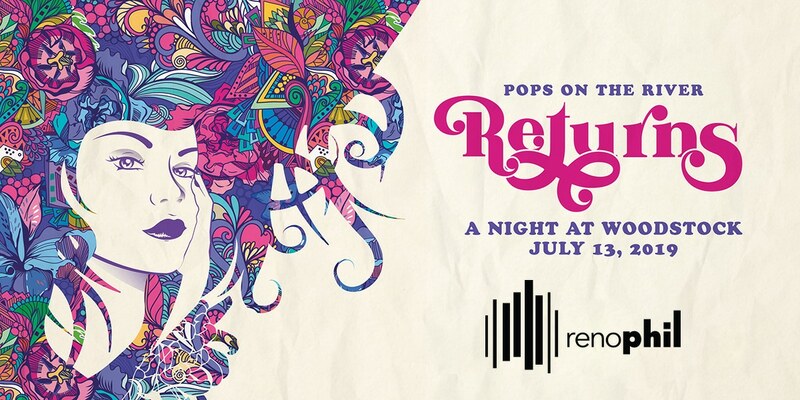 Throw on your best tie-dyed shirt and join the Reno Phil Orchestra and guest vocalists as they celebrate the 50th anniversary of the seminal music festival. You will hear songs made famous by Janis Joplin, The Who, Jimi Hendrix, Santana and more. 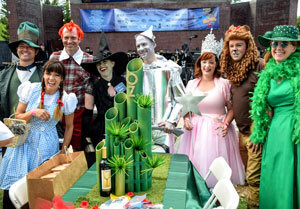 Pops on the River is a fundraising event featuring a costume contest, raffle and unforgettable concert. & of course, Best of Show! Sponsorships & tables are sold out! Please call 775-323-6393 for other options. General Admission lawn seating will be available on the day of the concert. Front row center. One “Premium” table location. Seating for 10. Limited availability. Autographed programs by Laura Jackson at your table for you and your guests. Front row. One “Superior” table location. Seating for 10. Company logo displayed on stage at Pops on the River. Second row. One “Preferred” table location. Seating for 10. Best available seating in sponsor section. Seating for 10.